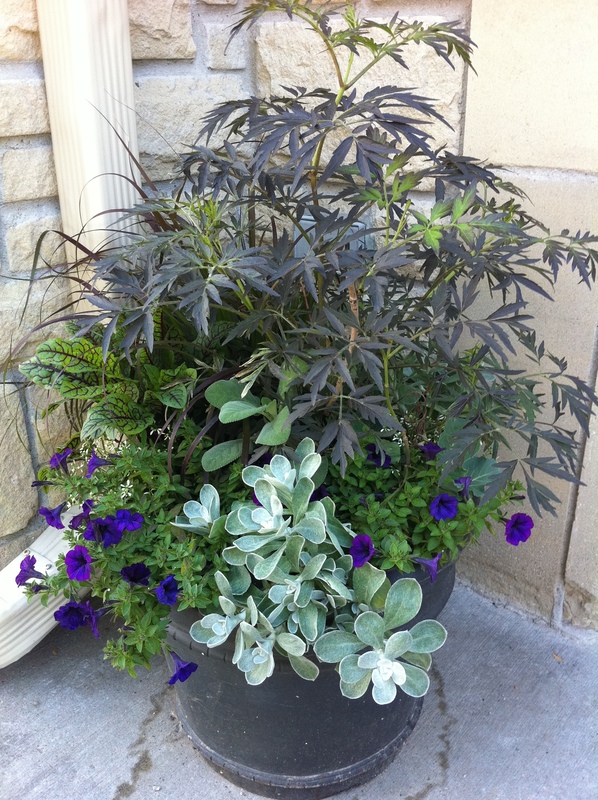 Sun or shade: containers for both! Now that my hands are better from my poison ivy encounter, I have made more containers for clients. Here are more shots of two I completed for a west-facing front door. 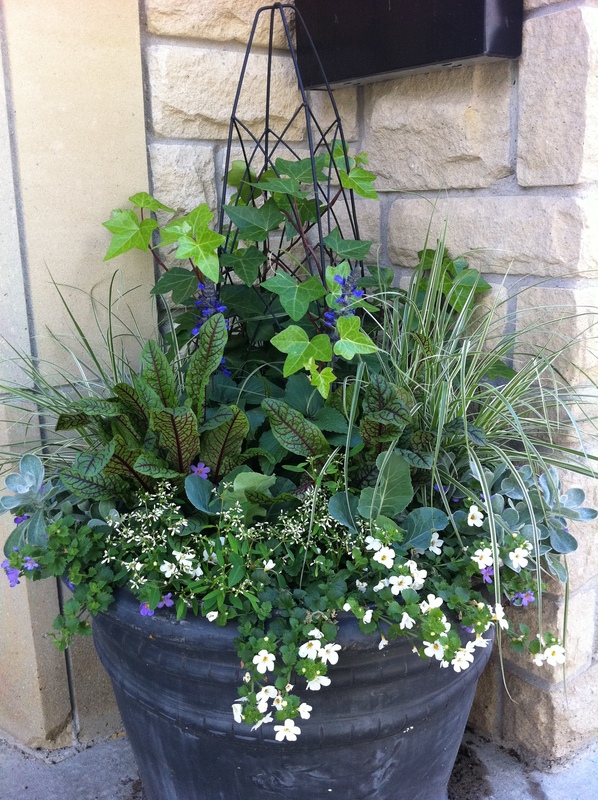 Many people think that planters for sunny locations are a cinch compared to those for a shady spot. But I disagree. 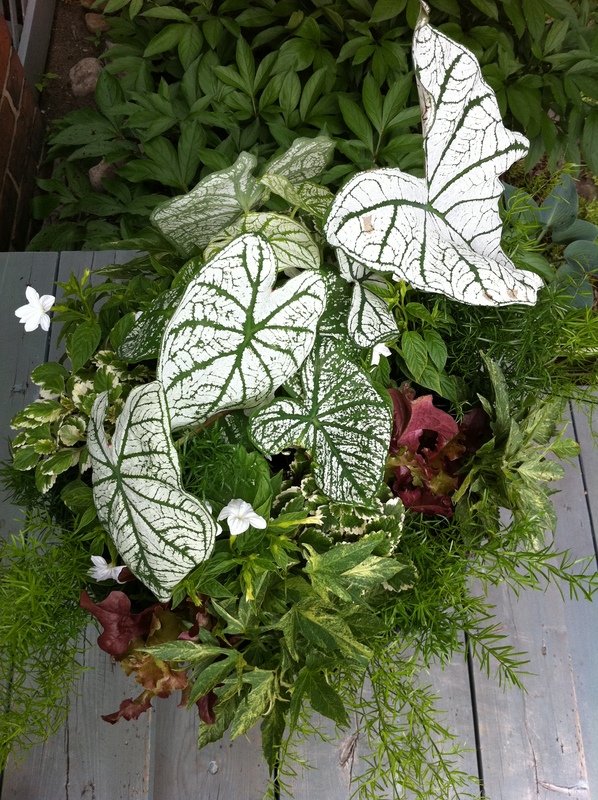 Think ferns, Caladium, Astilbe, sweet potato vine, Browallia, Plectranthus and red-leaf lettuce! 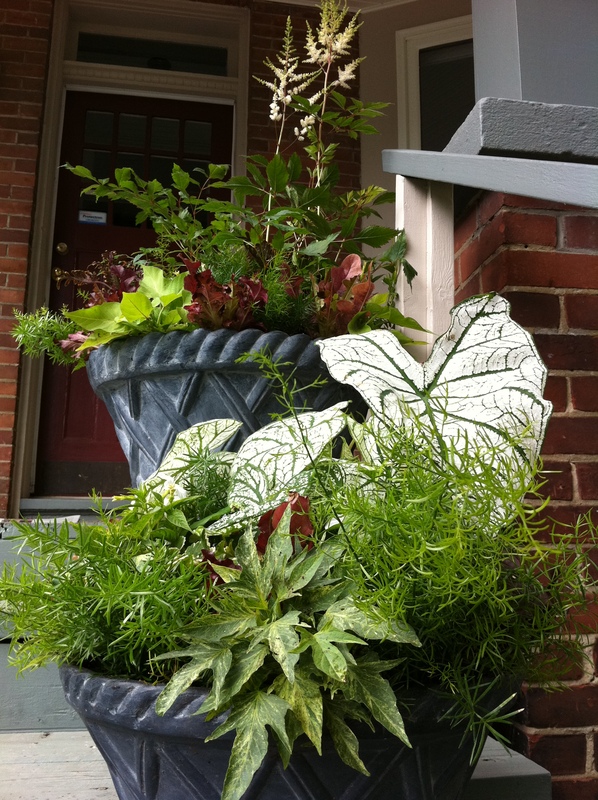 Previous PostPoison ivy and relief with beautiful containersNext PostSuper dog! Thanks Susan! 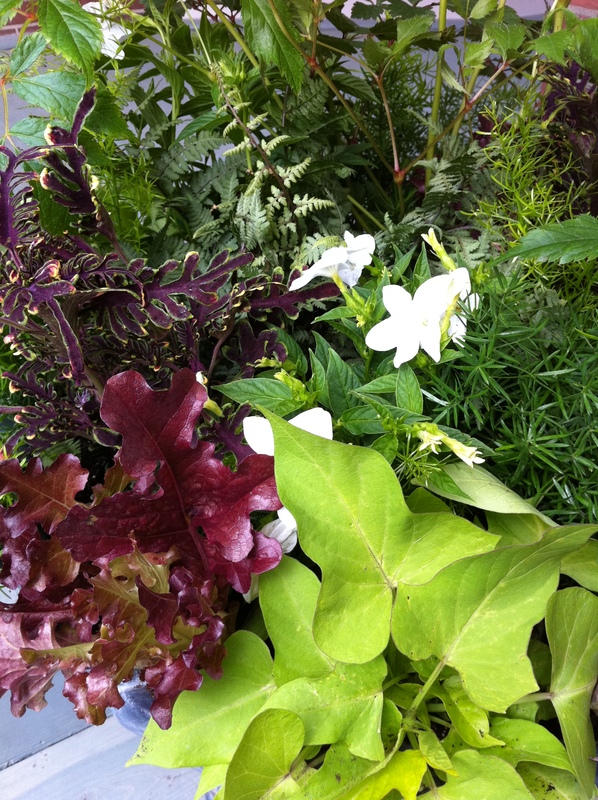 They are only as beautiful as the plants you can snag for them…did I inspire you?